On October 18, 2013 Veil of Pearls took home Clash of the Titles's Laurel Award. 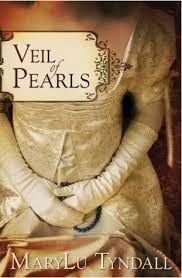 Over the course of six weeks, the novel's first chapters were read and judged by avid readers of Christian fiction who determined Veil of Pearls to be the worthiest to receive the 2013 Laurel Award. Clash of the Titles extends a heartfelt congratulations to author MaryLu Tyndall for her exemplary writing. We wish God's richest blessings on her future work. Listen to Cynthia L. Simmon's" Heart of the Matter" radio interview of Laurel Award Winner, MaryLu Tyndall! of the Legacy of the King's Pirates series is known for her adventurous historical romances filled with deep spiritual themes. She holds a degree in Math and worked as a software engineer for fifteen years before testing the waters as a writer. MaryLu currently writes full time and makes her home on the California coast with her husband, six kids, and four cats. Her passion is to write page-turning, romantic adventures that not only entertain but open people's eyes to their God-given potential. 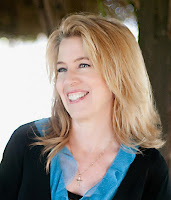 MaryLu is a member of American Christian Fiction Writers and Romance Writers of America.